South Georgian Bay is as much of a feeling as a place. South Georgian Bay’s relationship to the waterways runs as deep as history, dating back to the lives of the First Nation’s people who navigated our waterways. We have it all — including the World’s Longest Freshwater Beach at Wasaga Beach. Visit the Blue Mountains for the best rock ledge beaches around, complete with million year-old fossils. Whether you’re canoeing the tranquil waters of the Beaver River or conquering the mighty waves in Georgian Bay, the region offers something for every level of paddler and swimmer. So grab your life vest and jump into your canoe or kayak and explore. Or just put on your swim suit, jump into the Bay and relax on our incredible beaches! 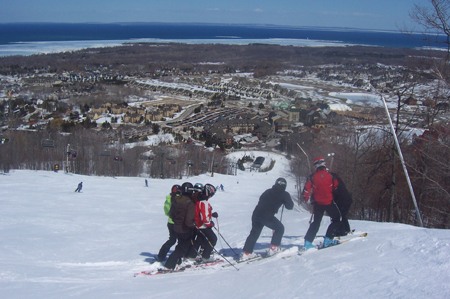 Blue Mountain is the most prominent piece of the Niagara Escarpment in South Georgian Bay and home to Ontario 's best skiing and outdoor adventure. The definitive winter escape! The Niagara Escarpment is recognized as one of the world's most unique and natural wonders and was designated a World Biosphere Reserve by UNESCO in February 1980. 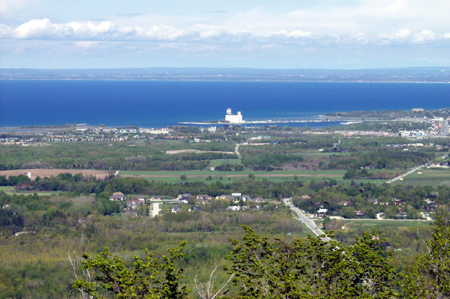 It reaches its highest point in South Georgian Bay at Osler Bluff and soars 510 meters (1625 ft) above sea level. The Bruce Trail is Canada's oldest marked footpath and crosses Ontario from Niagara region through to Tobermory along the Niagara Escarpment. Our Escarpment area encompasses a rich mosaic of forests, ferns, recreation areas, scenic views, cliffs, streams, wetlands, rolling hills, waterfalls, wildlife habitats, historic sites, villages and towns. 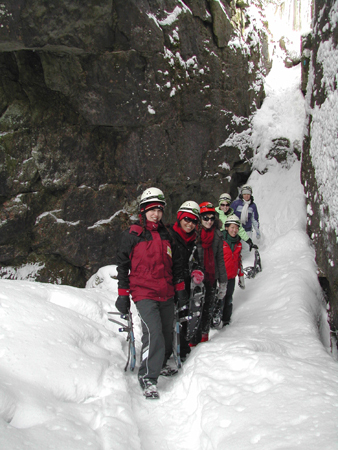 Enjoyed year round with an abundance of fun winter activities including ….. Enjoy 22 km of professionally groomed trails, classic and skate skiing, high atop Blue Mountain with panoramic views of Georgian Bay. Snowshoe across Ontario ’s Longest Suspension Bridge or on 7 km of snowshoe trails. Open year round; we invite you to try the Finnish Sauna, Norwegian Steam Bath, Thermal & Nordic Waterfalls, as well as Hot Baths and Cold Plunges. Enjoy the serenity of the Solariums, Relaxation Areas and Outdoor Fireplace. Hike through the woods to explore some of the Niagara Escarpment’s uniquely formed caves. It’s a whole different world underground so come and discover it with us! Moonlight snowshoe tours also available. Cross country ski and Toboggan at this complete Nordic ski facility with commanding views of the region. Come experience Niagara Escarpment nature at its best! Enjoy the region’s best Cross Country Skiing with the pass for Scenic Caves Nordic Centre, Highlands Nordic and Wasaga Nordic. 3 days of fun at 3 Nordic locations. Live the adventure! Feel the thrill & explore the trails driving your own snowmobile or take the reins of a dogsled team and visit a real igloo at Rob Roy Farm. An experience for all ages! 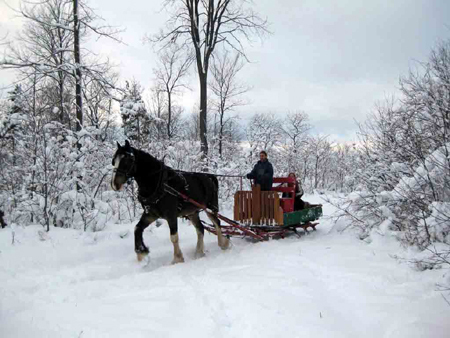 For a truly unforgettable Canadian experience—a sleigh ride to the back bush, where a shelter and roaring fire awaits you. Our historic shoreline towns share a spectacular natural setting with outstanding views, exceptional recreation and diverse cultural life. Historic downtown Collingwood is ideally situated near the beautiful waters of Georgian Bay, the Niagara Escarpment and the world’s longest freshwater beach and has more than 375 shops, services, food shops and unique restaurants. 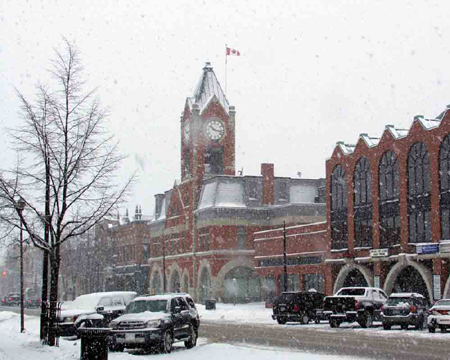 You’ll find restaurants, shopping, events and a host of entertaining activities in the charming villages of Meaford, Thornbury, Clarksburg, Craigleith, Creemore, Wasaga Beach and at the Village at the base of Blue Mountain. 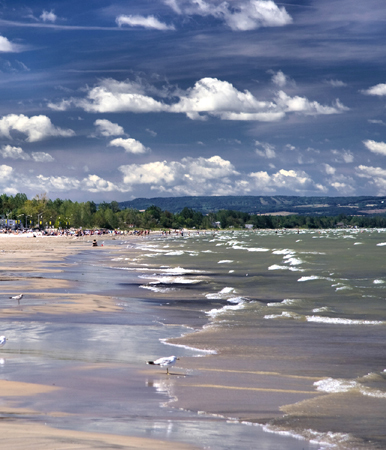 Hailed as one of the premier beach destinations in Canada, Wasaga Beach has been welcoming visitors for over a century. Stroll the beautiful shores of Nottawasaga Bay and its 14 kilometers of white sand beach and enjoy the panoramic mountain views across the Bay. The longest fresh-water beach in the world, enjoyed by thousands every summer, attracts Nordic skiers and snowmobilers when the snow flies. In the winter, the Dunes area of Wasaga Beach Provincial Park provides a spectacular 800 hectare backdrop to 30 kilometres of cross-country ski trails. 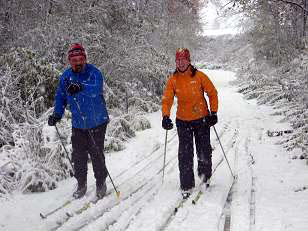 Ski through a mixed forest of oaks and towering pines and see a variety of birds and mammals on groomed and track set trails. 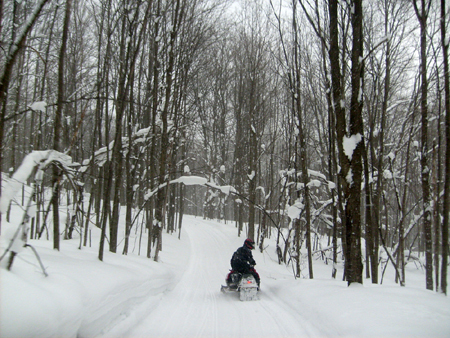 Wasaga Beach is a well known destination for snowmobilers in Ontario with 159 kms of snowmobiling trail, offering fun, exhilaration and to simply enjoy the picturesque winters in Wasaga Beach. For BBCanada.com members in the South Georgian Bay area see the Collingwood Area Bed & Breakfast Association website, and Beaver Valley Accomodation.